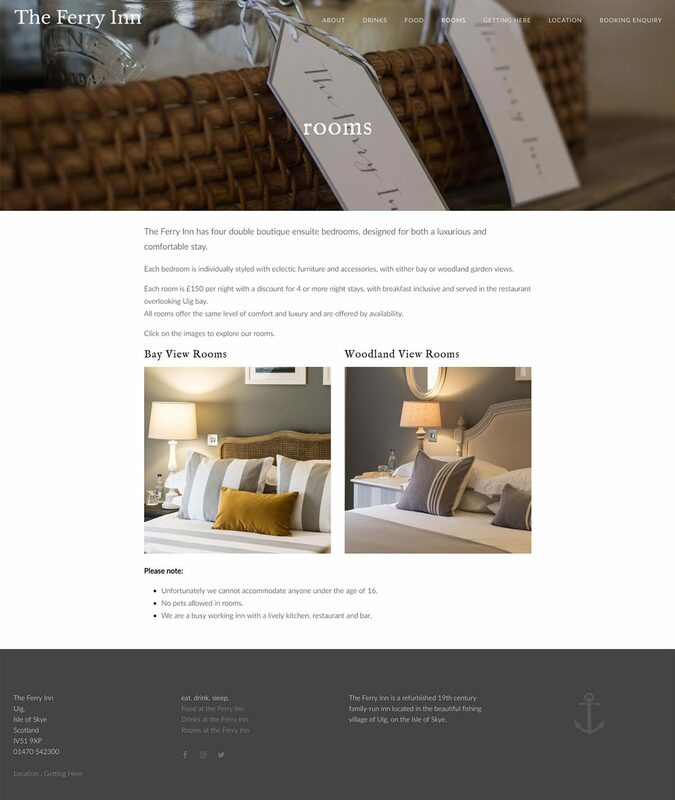 We were approached by this client to design a new brand and website following the recent refurbishment and reopening of the Inn. 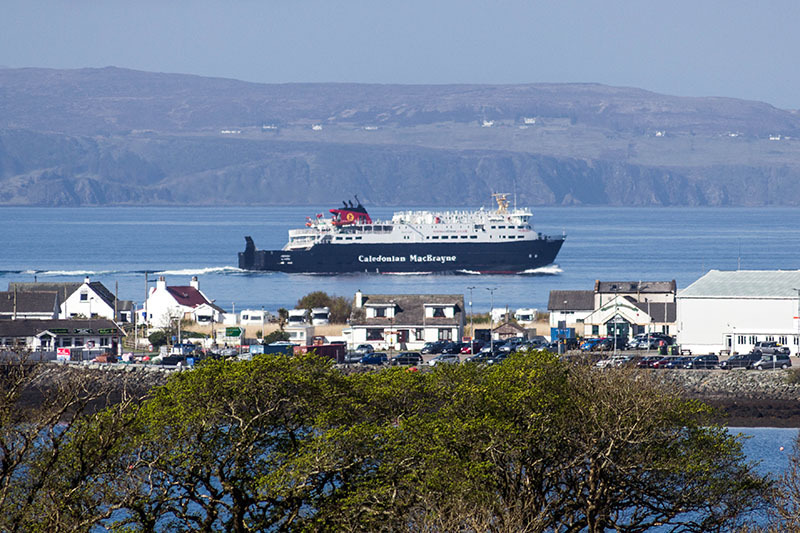 The project involved branding (logo and stationery design), photography and website design & development. 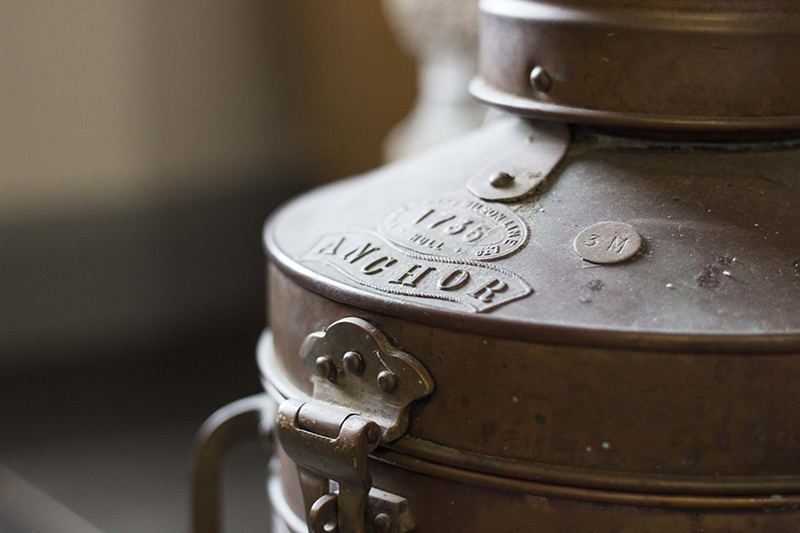 The branding evolved from the clients’ use of the anchor as a stamp on a number of items around the Inn. As this was already a strong symbol, linked to the Inn’s location and history, the anchor was reworked and redrawn and a strong complementary typeface was chosen for the logo lettering. 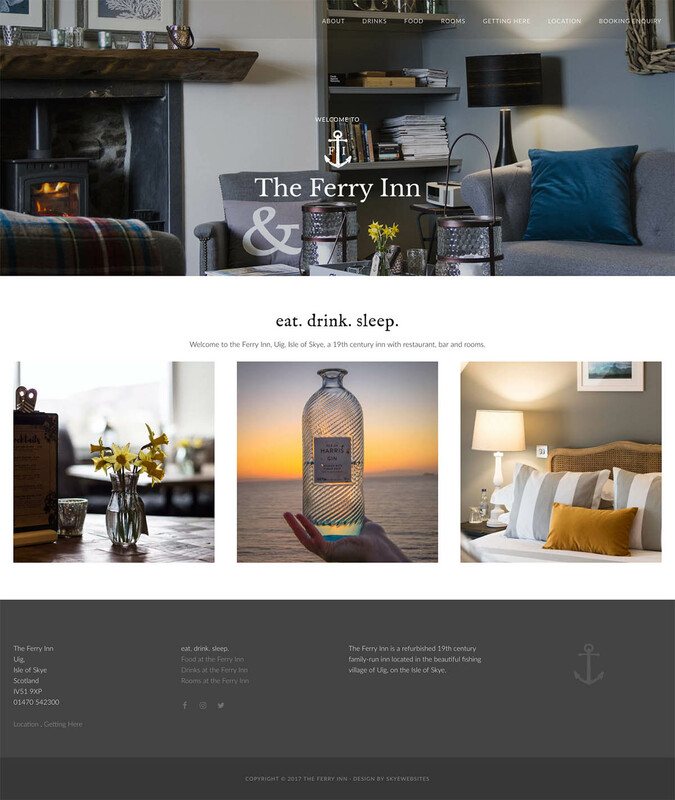 The F & I of Ferry Inn were also added to the anchor to ensure specific branding and to allow for the anchor symbol to be used in a variety of settings and formats, including social media icons. A range of stationery, including business cards and letterhead, and signage was then designed using complementary modern fonts and a consistent layout across all use of the brand. Branding guidelines for future items were also designed for ease of use by the client. Our team photographed the beautifully designed interiors of the Inn, making the most of its contrast of colours, its views, bright bar area. We reflected the mix of old and new pieces around the building with vignette shots. The website was designed to look clean and modern, using the colourful images from the photo shoot to contrast with the pale background. 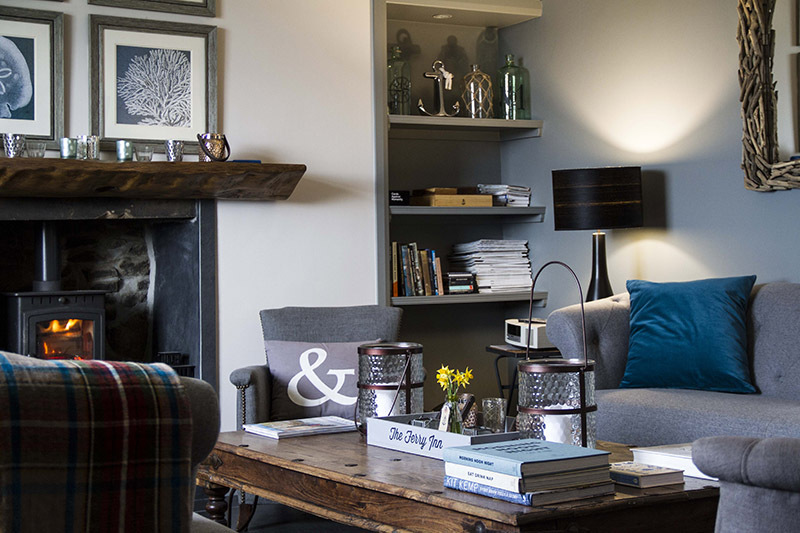 Tones of grey were used on the site, echoing the paint colours used around the Inn. We also had access to the clients’ brilliant location images, thanks to their son’s landscape photography skills. 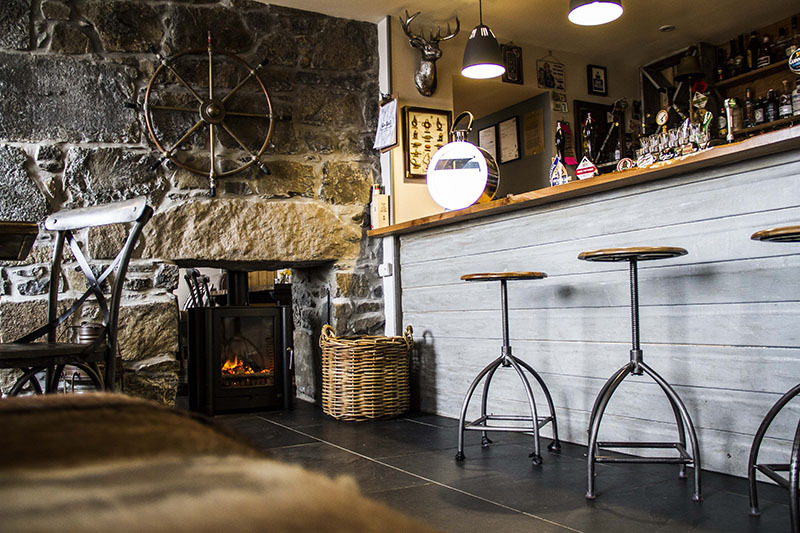 We used a mixture of full screen images and smaller image galleries to give a feel for the comfort and welcome the Inn provides. The number of pages were kept to a minimum, focusing on the Inn’s core offer: Eat, Drink, Stay. 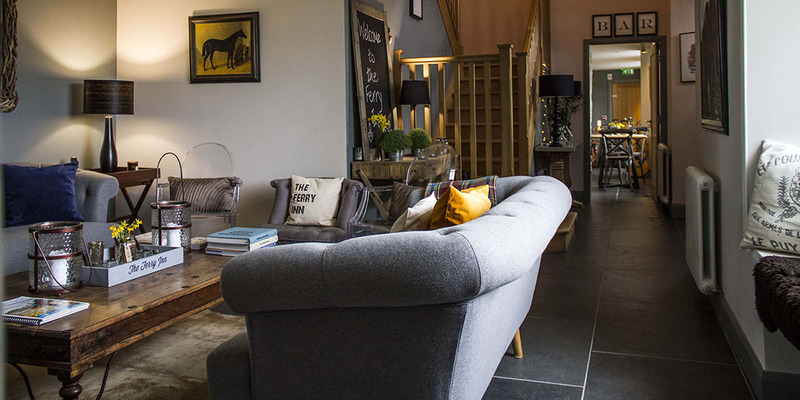 The website gives an elegant modern feel which we feel echoes the Inn’s elegant and contemporary interior as well as its welcoming feel.